Vanish Cleaning Services is an age-old and renowned brand in Australia that provides its customers with all kinds of cleaning services. We have a big database of our satisfied customers who form an important part of our family. As we all know that cleaning is in itself a complex process and we provide all kinds of cleaning services for you round the clock. From mattress cleaning to carpet cleaning, our professional cleaners can deliver all cleaning services for you. 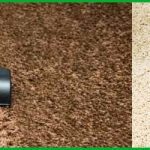 Our maintenance services also include carpet repair, carpet flood damage restoration and duct cleaning services anywhere in Australia. We are a customer centred company and believe in making sure that our customers are 100% satisfied with our service. We are available for our customers 24×7 that means you can contact and hire us in case of emergency. We have a highly skilled staff of professionals who have experience and training in various cleaning services. Our staff is punctual and hardworking will reach your doorstep in no time and deliver the required services. We understand the value of your money so we provide all of our services at affordable costs. Call our executives today and book an appointment, we also provide no-obligation quotes as well. It is advisable that you seek professional assistance for home improvement and general cleaning of your home and belongings. We promise to deliver high-quality service for you with no compromise on our part of the deal.